The story of Covenant Presbyterian Church is a story of God’s faithfulness to His people. 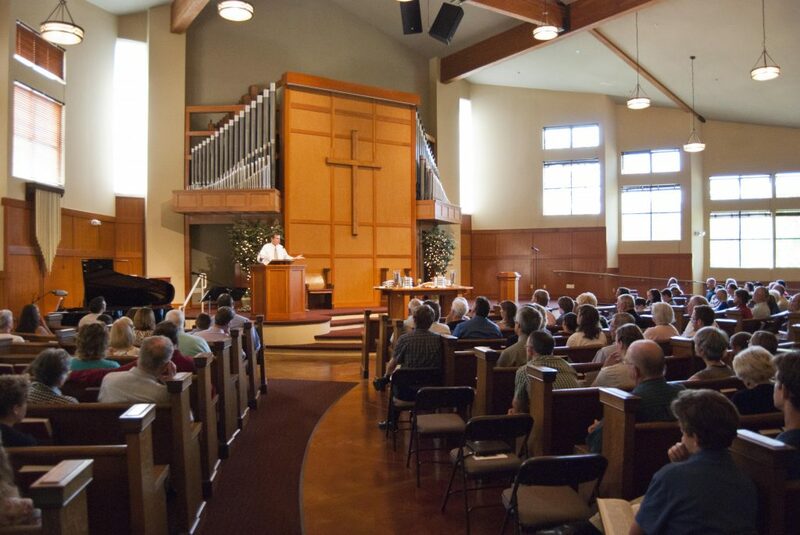 Covenant Presbyterian Church has been part of the Issaquah community for over 50 years. The church of Jesus Christ has spread throughout the centuries as the Holy Spirit has faithfully carried out His work. A small group of believers meeting in a home for Bible study and prayer has often led to the establishment of an organized church. Covenant Presbyterian Church of Issaquah began in this way. Dr. and Mrs. Homer Perkins and family moved to Preston from Seattle. At this time, there wasn’t a strong Reformed work on the east side of Lake Washington. The Perkins began a Bible Study in their home, and in the summer of 1958 Sunday School classes were added. Classes were moved to the lssaquah Funeral Home, morning services were added, and the name of Covenant Presbyterian Church was given. Rev. Joseph Green, of Bellevue Christian School, served as pastor on Sunday mornings. Services were moved to the I.O.O.F. (Odd Fellows) Hall. Dr. Perkins and Mr. Harrah, elders of the Evangelical Church of Seattle, took responsibility as acting elders of the newly formed church. They communicated with Mr. Robert Scott, who was completing his work at Covenant Theological Seminary in St. Louis. Mr. Scott came for an interview, finished his work at Covenant, and moved to Issaquah, with his wife, Libby, and two small children. They arrived in time for the Easter service in April of 1960. About the same time, Mr. and Mrs. Thomas Cowan initiated a building fund with the proceeds from the sale of personal property. Prayer accompanied the work of Covenant Presbyterian from its inception. Covenant Presbyterian moved to Gibson Hall. In August of 1962, Mr. and Mrs. Paul Blomberg and their family moved from Seattle to Mine Hill, a short distance from Gibson Hall. They graciously opened their home for the adult Sunday School class. The congregation decided to rent Gibson Hall all day when necessary. On February 24, 1963, 41 adults and children were received on confession of faith as charter members. Covenant Presbyterian Church was organized on April 7, 1963 with officers elected and committees appointed. There was something for everyone to do. At about this time, the attractive property of Mr. and Mrs. Leon G. Bailey on the Redmond Road north of Issaquah, one and one-eighth miles beyond Hwy 10, was located and considered favorably. The Baileys, an older couple, wished to dispose of their three and one-half acres, including its several buildings. The cement block farm building was large enough for the main part of the chapel. (The legend is it was a chicken coop at one time. The truth is it was built for that purpose but was never “occupied”). Their brick home would be suitable for a manse and near it, and connected by a walk, was a small building that could be converted into a study. A large open field and a substantial patch of blueberry bushes, once removed, would give space for parking and for erecting a church building when membership increased sufficiently. A nice hollow with a lovely grove of evergreen trees would make a pleasant place for youth meetings in summer and for picnics for all. The property seemed to meet many needs. The members looked over the property, prayed about it, and decided to make the purchase. The Chapel was sufficiently ready for the first service on Easter Sunday, April 25, 1965. Later, through the building fund and special contributions, Elder Blomberg led the construction of a two story Education Building, which is still in use today for Sunday School classes and now the CCMS Middle School. The “Ed Building” was dedicated on Easter Sunday, March 29, 1970. 1971-1974 Rev. Charles Gwinn Jr.
1988-1990 At the end of Bill’s pastorate, the church was made up of around 30 households. During the next few years, the Elders led the church services. God showed his faithfulness to the congregation by keeping the ministry vibrant and effective. There was almost no loss of membership during that time. The pulpit was again vacant for two years. The Elders and leadership led the church through this time. God again was extremely faithful and gracious to keep the church going. Pastor Irwin, his wife Lisa, and their children arrived in June of 1996 after his graduation with a Master of Divinity from Covenant Theological Seminary. Eric has brought a deep love for God and high view of scripture to CPC. He also continually points us to walking “coram deo’ (before the face of God). His dry sense of humor is a blessing to all, as he faithfully teaches us from God’s Word and tenderly leads us to walk closer to the Father. He is an avid reader and cyclist while maintaining close ties to his family and flock at CPC. Lisa is committed to fervent prayer on behalf of the families at CPC and is known for her warmth and generosity of spirit. It became obvious that Covenant Presbyterian was outgrowing its original facilities. The church offices were located by this time in a portable module (complete each year with the annual ladybug hatch) and services were overflowing in the old Chapel. After a significant capital fund project, the decision was made to build a new main Chapel on the edge of the field. A building committee was formed and architect hired. Ground was broken in 2003. Long-time member Pete Biege played a significant role in moving the project from concept to fruition along with our dedicated Building Committee, who spent countless hours over several years. A dedication celebration was held June 4, 2006. The architecture of the Sanctuary was specifically designed to reflect the glory of God with a strong focus on the communion table set in front of the Cross. Each aspect of the Sanctuary was designed with meaning and a reflection of our relationship with Jesus Christ. 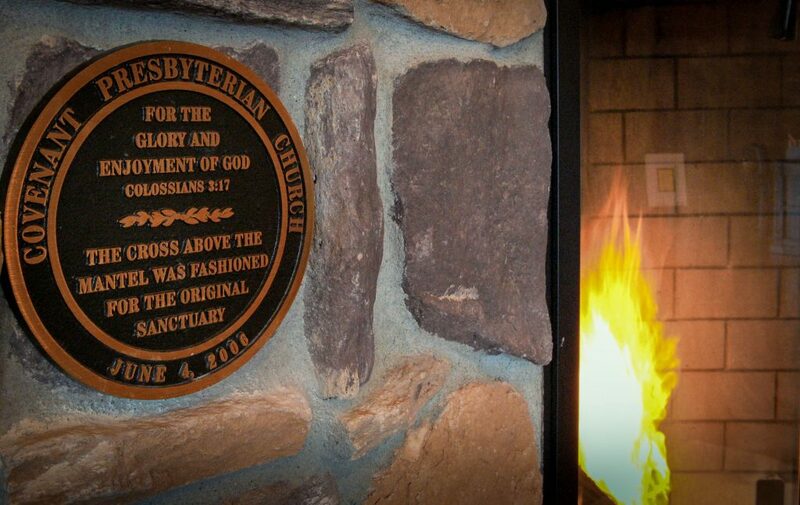 In tribute to our history and to God’s faithfulness, the original 2×4 wooden cross made by Paul Blomberg was transferred from the old Chapel to its present place above the fireplace in the new Narthex. Special mention should be given to how God has blessed us for many years with Elder Kurt Kreiger leading the congregation with the Call to Worship most weeks. 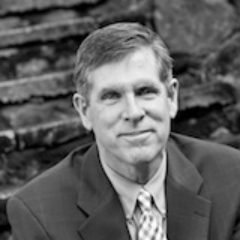 Kurt has been an ordained officer of the PCA for 30 years, 28 of those actively serving, and 25 of those actively serving at CPC. And during the entire 28 years of actively serving, he has also led worship. Kurt’s tender heart and passion for the Lord comes through and his prayers are rich in Scripture and express joy and thanksgiving in the Lord. In 2005, Elder Rich Loudon and his wife Sara were instrumental in starting CCMS – Covenant Christian Middle School. The school meets in the Upper Education Building. They started with a specific teaching mission in mind. The session decided to put the fellowship hall of the old chapel into use as a two-day a week middle school to minister to the needs of the congregation’s home school families. In the fall of 2005 Covenant Christian Middle School opened its doors to twenty-one students from CPC and the surrounding community. Sara teaches a Christ-centered history-based language arts program aimed at the heart of her students. The goal of the school is to prepare students for their future academic endeavors by guiding them to an understanding of God’s sovereignty in history and His indelible mark of creation, fall, and redemption that runs through all literature. 2005-present The True Light Church (Chinese) meets in our Sanctuary during Sunday afternoons for worship. 2006-present The 21st Century Mission Church (Korean) meets for worship Sunday mornings in the Sunday School Chapel.